With an angle of view of 99 degrees, the Zeiss Touit 12mm f/2.8 wide-angle lens will soon become a firm favourite, particularly for landscapes and architectural photography. 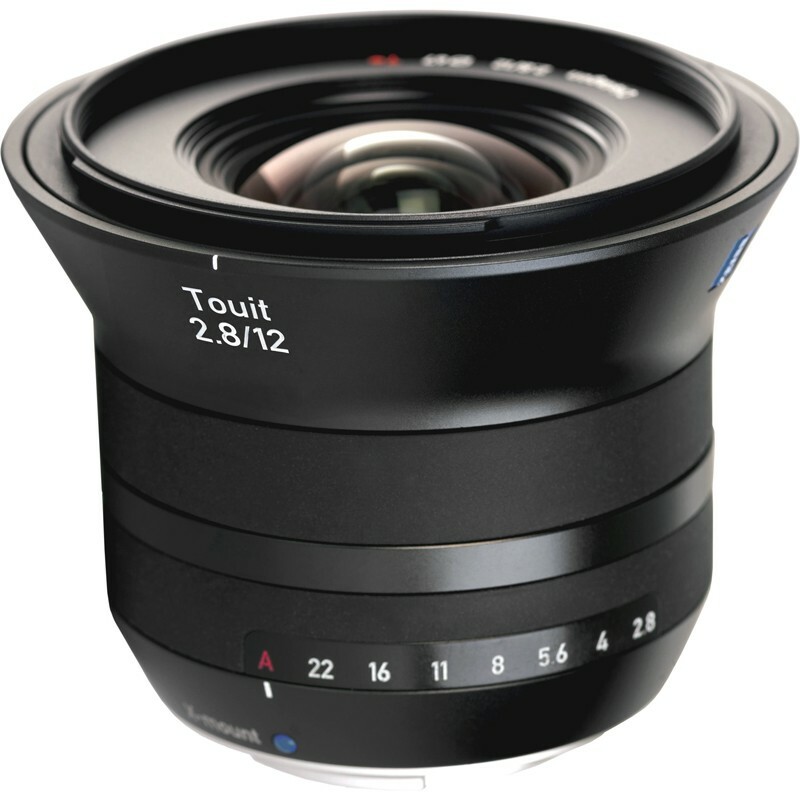 Its unique Zeiss T* multicoating guarantees maximum transmission and outstanding absorption of extraneous light. The result: breathtaking image quality from edge to edge and corner to corner of the entire image field. What’s more, all moving parts of the Zeiss Touit 12mm f2.8, conceived specifically for Sony NEX and Fujifilm X Series cameras, are engineered for extreme precision and a long working life. And finally, its strong and rigid metal bayonet mount makes it an absolutely dependable companion for many years to come. When the angle of view becomes extreme, the retrofocus design of the Distagon lens can also be the ideal choice when the camera is not an SLR. Distagon lens types possess the low, image-sided, raypath angles that are particularly favourable for use with digital image sensors and also guarantee an extremely homogeneous distribution of brightness across the image field. The optical elements of Zeiss lenses feature T* anti-reflective coating on all surfaces and an optical design that guarantees images of superior brilliance at all times, even in unfavourable lighting conditions. We apply the anti-reflective coating to the lens surfaces by the vapour deposition of extremely thin, transparent layers on the glass. In this process, special substances are vaporized with extremely high energy in a high-vacuum environment and are subsequently deposited on the glass surfaces, one after another, as layers with precisely controlled thicknesses to achieve the desired reduction of reflective properties. The first coating techniques were employed by Zeiss as long ago as in the 1930s. £200 off the marked price. The discount will automatically applied when you add the item to your basket. So, add it to your basket and watch the price drop!